Whimsy and Parchment... : Beauty Post!! Okay, so normally I just talk about books on here, but one thing I love about blogs is their versatility. It's a space where we can share all sorts of things. Before I ever had this blog I had a Livejournal, and on there I wrote about just about anything that you can imagine. This spot isn't quite the same, but I still don't consider this blog to fall neatly within boundaries that I won't stray from. I've had such fun with makeup the last couple of weeks because of an awesome gift I was given by my best friend... 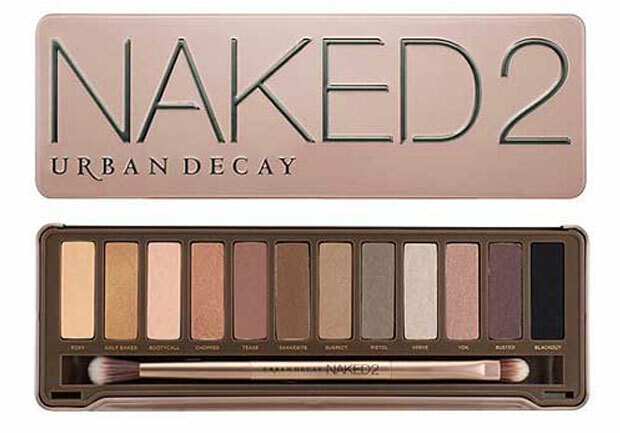 The Urban Decay Naked 2 Palette! This picture honestly does not do it justice, though I'm sure that anyone who knows anything about makeup will know enough about this palette that I don't need to go into great detail. It's just awesome to have this because it's one of those things that I probably wouldn't have bought for myself, if I'm honest. I never wore makeup much when I was younger, and it's still something that I'm very much learning about, as pathetic as that might be at my age. So I've been enjoying experimenting with this the last couple of weeks, and that actually nudged me to make a couple of purchases. 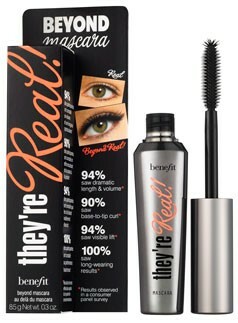 First up is Benefit's They're Real mascara. I am absolutely loving this mascara. It's not chunky or hard to apply, it comes off pretty easily, and the length it gives my lashes is incredible. I've seen some complaints that it looks 'spidery' but it seems to layer pretty well so I haven't really had that problem. At $30 a pop it's a bit more than what some people will be looking for in their budget, but I think it's well worth it. I actually really like the packaging, too - it's a pretty, glossy little container that sits upright (I hate mascaras that don't do this) and I actually really like the brown colour that I picked up. Sometimes I feel like black mascaras are too 'bold' for me, if that makes sense, and the brown adds the length but it doesn't feel like it's popping with 'wow, black' that some mascaras do. This last one is something that I'd heard rumblings about over on Reddit (Makeup Addiction if you're interested) and I happened to spot it last night when I was in Walmart. 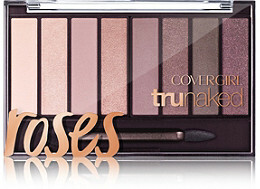 This is the Covergirl TruNaked Roses palette and it's supposed to be a pretty close dupe of the Urban Decay Naked 3 Palette - except much cheaper, of course. I actually got the last one on the shelf and I'm really excited to try it out. I don't think I could justify the cost of a $50 palette of colours I wouldn't wear as often, but this was about $12, much more reasonable! This palette is actually supposed to be quite good, too - very good texture, good application, and the colours are supposed to be awesome as well.